Life, Doctor Who & Combom: Could River Return for Capaldi Era? Could River Return for Capaldi Era? In the latest issue of DWM, Steven Moffat has stated he is uncertain on whether he'll bring back River Song for Peter Capaldi's era. This could also depend on when Moffat chooses to leave and whether or not he will be completely leaving Doctor Who, or just stepping down as the show-runner. I vote yes. But no reason she could not have regenerated at the Library. Rule #1 the Doctor lies so why not his wife. Soul or a copy of everything she was up to that moment? Remember Jenny did not regenerate right away, they all thought she was dead. 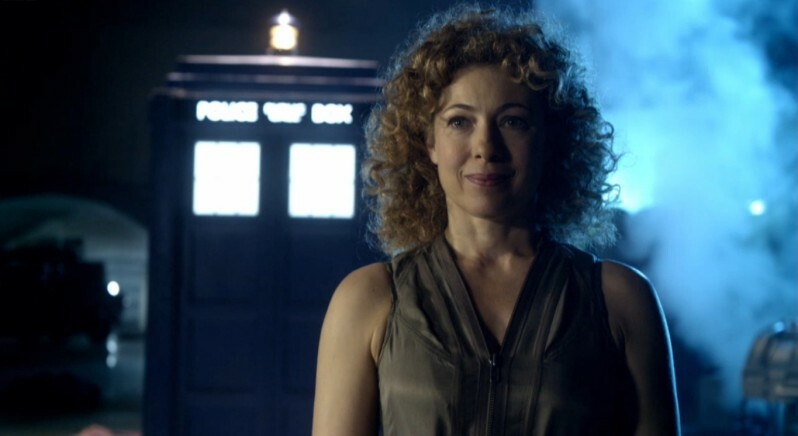 And as for the regenerations... the Doctor lies and why wouldn't River? NO, NO! It's obvious that Moffat is in love with Riversong, but the rest of us are not, enough! No more Riversong! Why doesn't he bring back other companions, why is it always Rivrersong? In case you had't noticed, I'm really tired of Riversong, and I bet other fans feel just like I do.